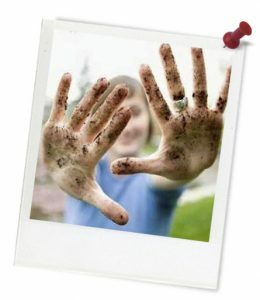 Activity: Schools Tree Day – What is Biodiversity? Quick summary: This activity can be amended to suit all year levels as the aim is to build an understanding of the word ‘biodiversity’. Students will begin to understand the concept of biodiversity and explore why there is poor public understanding of the word. They use the digital learning tool Wordle to create a word cloud that demonstrates their understanding. Students understand the complexity of the concept – ‘biodiversity’. Students investigate and research real world concepts of biodiversity. Students understand that biodiversity in its simplest form is the variety of life on Earth. Cross-curriculum priority: Sustainability OI.2, OI.5. Australian Curriculum content description: As this activity is intended to adapt for a range of year levels, no explicit links have been provided. Topic: Schools Tree Day, Biodiversity. Level of teacher scaffolding: Facilitate students in sharing their ideas about biodiversity. Resources required: Writing material, internet access, computers, Student Worksheet – one copy per student OR computers/tablets to access the online worksheet. Overarching learning goal: Students will understand the complexity of the concept 'biodiversity' and will research real world concepts of biodiversity. Students will understand that biodiversity in its simplest form is the variety of life on Earth. What is biodiversity? Exploring the concept of biodiversity can be tricky for students. It is a complex term that has a complex meaning. Biodiversity put very simply is: Life, the world, and the variation of life that exists. To expand on this, biodiversity is the variety of all living things; the different plants, animals and micro-organisms. Plus it is the genetic information all living things contain and the ecosystems they form. We can explore biodiversity at three levels - genetic diversity, species diversity and ecosystem diversity. These three levels work together to create the complexity of life on Earth. Thought starter: When the BBC asked members of the public what they thought biodiversity was, the most common answer was 'a kind of washing powder'. You have five minutes to Google 'biodiversity' and copy and paste five definitions into a Word document. Use Wordle (www.wordle.net) to create a word cloud for biodiversity. The cloud produced will give greater prominence to words that appear more frequently in the source text. Print or save your cloud then answer the questions below. 1) Which words are most prominent in your biodiversity cloud? 2) In your own words explain the meaning of biodiversity. 3) Why is biodiversity important? 4) How can you help conserve biodiversity? Example of Wordle for 'Ecosystem'.